“Spills of this sort need to be treated as a serious biohazard, given the threat that widespread GM contamination could occur” Senator Rachel Siewert, Australian Greens agriculture spokeswoman, said. 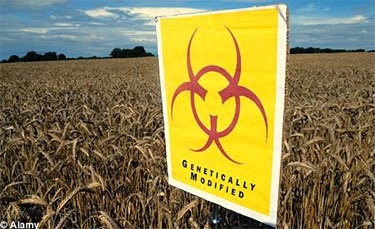 The Australian Greens have also called for law changes including a moratorium on GM crops in WA to help protect Australian consumers and farmers alike from genetically modified contamination. Here in the U.S., the U.S. Department of Agriculture is currently working on new strategies to aid in the ability of organic and GMO crops to “coexist” together, even though crops are grown in open fields and it isn’t like the wind is about to stop blowing any time soon. “The USDA said they didn’t have this data, but all they had to do was ask,” Oren Holle, a farmer in the midwestern state of Kansas and president of the Organic Farmers’ Agency for Relationship Marketing (OFARM), which assisted in the new study’s production, told IPS. While Big Agra giants like Monsanto are notorious for suing farmers that are found growing the company’s patented GMO crops (sometimes apparently without the farmer’s knowledge), multiple cases of alleged purposeful contamination of non-GMO fields with genetically modified crops have also occurred. In 2006, two farmers from Missouri sued Bayer for contaminating their crops with experimental rice strains. The rice, which was not approved for human consumption, was growing in open field tests and ultimately contaminated more than 30% of U.S. rice cropland. Bayer was found guilty and ordered to pay $2 million in damages to the farmers, even though Greenpeace International estimates the total damages were somewhere between $741 million and $1.3 billion. Might I point out that the first lawsuit Monsanto made was because one of their trucks ran off the road and the seeds were carried by the wind into the farmer’s field. Monsanto sued and won. I think their needs to be some investigation into how Monsanto’s trucks are transporting their seeds and where their trucks ‘supposedly’ break down or run off the road.